When you think of the brand AGA you relate it to top quality ovens and cookware, not many people are aware that they also create beautiful cast iron stoves. 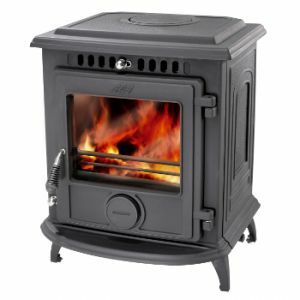 AGA Stoves offer exceptional quality cast iron stoves, using the very best materials and quality long-lasting components. The timeless appeal of a cast iron stove is un-beatable, not only do AGA Stoves create beautiful cast iron stoves, but they also extremely practical. Each model uses the very latest clean-burn technology to increase the efficiency use of energy and decrease any effect on the enivronment. AGA have been producing excellent stoves and range cookers for over 80 years, that expertise has been passed down through the generations and improved upon to give you the quality you find today. The craftsmanship is evident in all the models throughout the AGA range. AGA Stoves range is available in wood burning & solid fuels which helps the environment as burning wood from managed woodland is cost effective and conserves fossil fuels. As you burn wood in your AGA Stove you release smoke – unburnt fuel that is recyled into the stove and burnt off, any remaining gas is then released and absorbed by trees. If a tree was to rot in a forest it would release the same amount of carbon dioxide as if it was to be burnt.